I’ve just emerged from a 75 minute “float” in a sensory deprivation tank, and let me tell you: “The Upside-Down” is real! More on that in a minute. The Netflix Original Series STRANGER THINGS has taken the country by storm; the story of a young boy’s disappearance and a semi-mute girl with telekinetic powers struck a chord with horror and sci-fi fans, as well as more mainstream binge-watchers. Created by The Duffer Brothers, STRANGER THINGS is a love letter to the 1980s; it’s caused an avalanche of nostalgia and reinvigorated interest in conspiracy theories and fringe sciences. 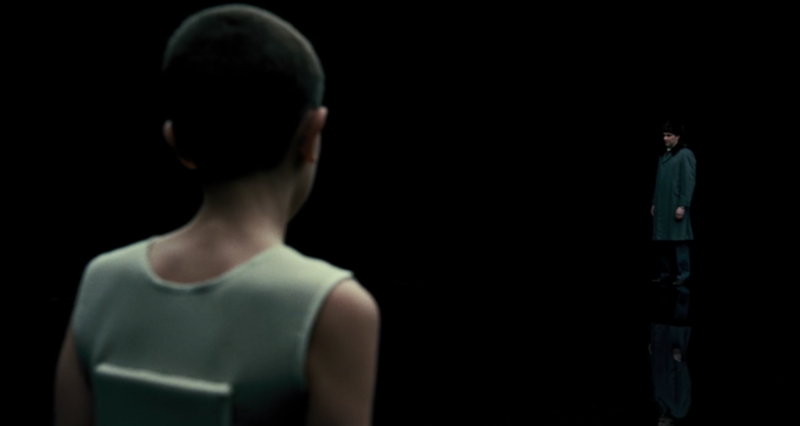 We learn through flashbacks that the character Eleven (played by Millie Bobby Brown) has been subjected to a battery of ethically questionable experiments, reminiscent of urban legends surrounding MK-Ultra and Camp Hero in Montauk, Long Island. In an effort to contact interdimensional entities, Eleven dons a weighted bodysuit and clear diving bell before being lowered into a tank of water. 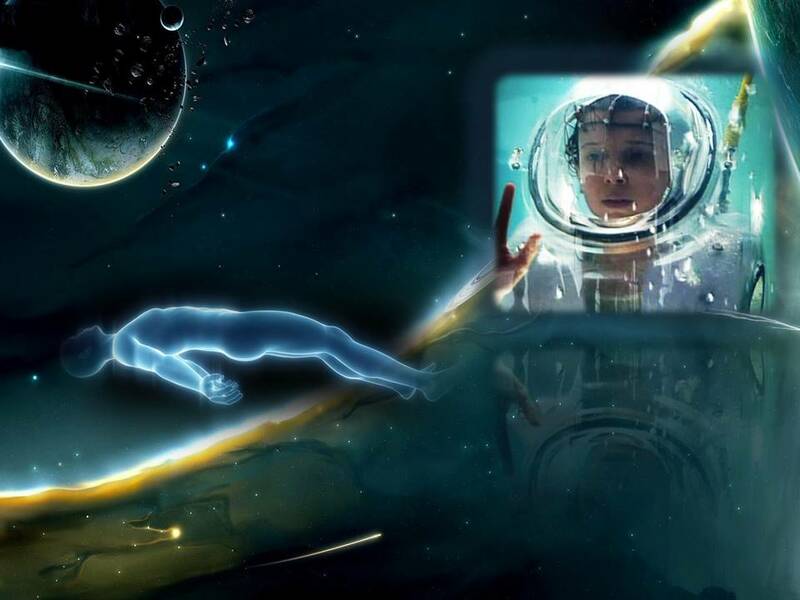 The idea is that sensory deprivation will assist her in making psychokinetic connections. Eleven enters an alternate universe referred to as “The Upside-Down”, a dark netherworld inhabited by monsters. It’s definitely one of the most outlandish aspects of STRANGER THINGS, but Eleven’s experiences are based on actual science. 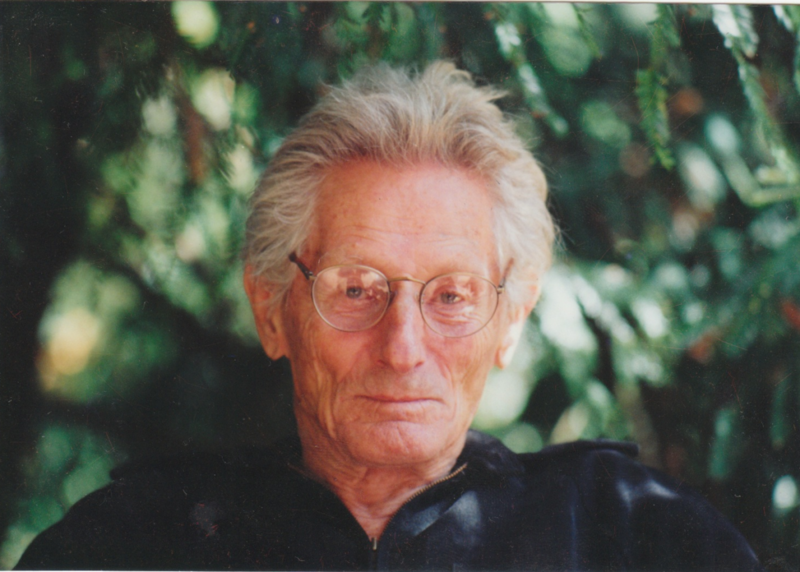 In 1953, John C. Lilly (an American physician, neuroscientist, psychoanalyst, psychonaut, philosopher, writer and inventor) began experimenting with sensory deprivation under supervision of the US Public Health Service Commissioned Officers Corps. His goal was to find ways for the human brain to relax by shutting down, and he hypothesized that blocking external stimuli would achieve this result. To this end, he established a series of Restricted Environmental Stimulation Techniques (R.E.S.T.). His first prototypes were very much like what we saw in STRANGER THINGS, with Lilly donning weights and a diver’s helmet before spending extended periods floating in complete isolation. The results were startling; in fact, they were the exact opposite of what Lilly and his colleagues expected. It turned out that sensory deprivation actually increases brain activity. In the years that followed, Lilly’s tanks have evolved with the addition of heating, and filtration systems; by incorporating copious amounts of Epsom salts, researchers were able to create buoyancy, allowing subjects to float on top of the water horizontally, eliminating the need for oxygen masks. While Lilly’s research produced intriguing results, his association with other fringe sciences may have been a distraction; in addition to promoting sensory deprivation, the scientist’s endeavors included making contact with extraterrestrials and establishing a common language for humans and dolphins. He was also a major proponent of the use of psychedelics for consciousness expansion—sometimes in conjunction with sensory deprivation. Still, interest in floating and sensory deprivation has endured; at first, it was mostly in countercultural circles where tanks were utilized by meditation practitioners and modern psychonauts. But the undisputable science behind floatation, and the proven benefits of the practice, led to a reemergence of interest in the 21st Century. I spoke to John Balquist, the owner of Oakland Floats in the San Francisco Bay Area, where business is booming. Blumhouse: How did you get involved with floatation and sensory deprivation? John Balquist: I knew about the concept of sensory deprivation in my 20s when I started reading the books of John C. Lilly. I was also aware of the movie, ALTERED STATES. Having done my own psychonautic research in college at UC-Santa Cruz (a great place for such things), I was intrigued by the concept of sensory deprivation with the connection to psychedelics. When I had the chance a decade later to try it out myself, there was no hesitation. From just one float, I was affected deeply in that I had an outpouring of creativity for the month after that resulted in writing several songs. JB: A wide range of people float, it’s not a small niche. For the most part, people dealing with stress and anxiety, but we also cater to people with chronic pain, athletes looking for a mental edge and quick recovery, expectant mothers, meditators, and those looking to explore the limits of their mind. BH: Can you tell us about some of the strangest experiences clients have shared with you? JB: From time to time we hold overnight floats, where people float in the tanks for several hours. One participant began making “howling” noises during the float, much to the dismay of some of the other participants. He was oblivious to his noisemaking and afterwards when we told him he had disrupted the other floats, he was very apologetic and told us that he had imagined he was swimming with whales and was making whale calls to them. You can’t get too mad about that. BH: Has there been an increase in interest since STRANGER THINGS took the country by storm? JB: This is probably a bad answer, but I think it’s too soon to know. People are still getting around to watching it. We’re aware of it, and it was fun to see it in the show. The design used by the Department of Energy I think is based on one of Lilly’s earlier designs, before he used salt. That’s why they have to put weights on Eleven to get her to sink down into the tank. BH: Anything else you’d like to tell our readers? 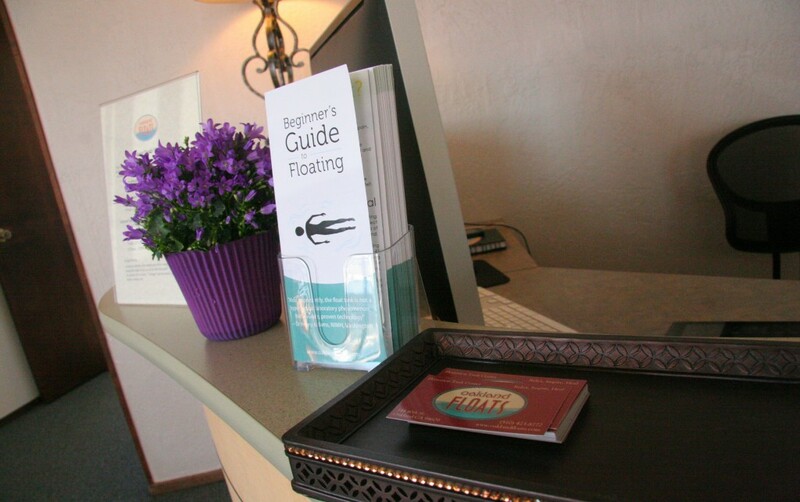 JB: Contrary to STRANGER THINGS, floating can be extremely peaceful and therapeutic! Though one of the interesting aspects of it is the introspection and insights that can occur, and the occasional visual or auditory hallucination. It was time for me to take the metaphorical plunge into one of Oakland Floats’ 3 tanks for a 75 minute session. After a shower, I entered a structure 4’ wide by 8’ long and 4’ high. It looks kind of like one of the “cryo-pods” from ALIEN, but with much more room to maneuver in. There’s less than a foot of water in the tank; it’s clear but extremely salty. Just how much salt does it take for a tank this size? About a ton! A tip for first timers: Don’t go in with fresh piercings or after a recent shave or wax, because you’ll definitely feel the burn! As I acclimated, I was overcome by a sense of extreme relaxation and contentedness. The tank is soundproof, so my breathing seemed exceptional loud at first, and I could even hear my own heart beating! It’s so dark, it doesn’t matter if your eyes are opened or closed; this creates a “waking dream” sensation. I didn’t have any out of body experiences or audio hallucinations, but I did see things. Occasionally, I’d spot pin pricks of light in the darkness, but they’d quickly vanish as my eyes sought to focus in on them. I became aware of amorphous blobs moving around in my periphery, and an almost reddish glow in front of me. I was reminded of the visuals I sometimes get when I rub my eyes for a while. In the most intense moments, I sensed figures standing above and around me, as though I was lying on a medical table being studied. By the end of my “trip” I was seeing a myriad of faces morphing through the darkness, but these visions were abstract and fleeting, like noticing shapes in clouds. It was then that I realized: This is “The Upside-Down!” I imagined myself drifting in an airless forest like young Will Byers, keenly aware of ghostlike phantasm swirling around me. Time seemed to slow to a crawl, and I felt as though I was left (abandoned?) to explore this psychedelic realm for eons. But before I lost myself in completely in this hyperspace, I was brought back to reality by the emergence of soothing new age music; it was a signal that my time in “The Upside Down” was over. I emerge from the tank, slowly; it was as though I was awakening from a days-long slumber, but the feeling was completely invigorating! Other subtle benefits of my float (clarity, mental acuity, an overall sense of well-being) will likely last for days. 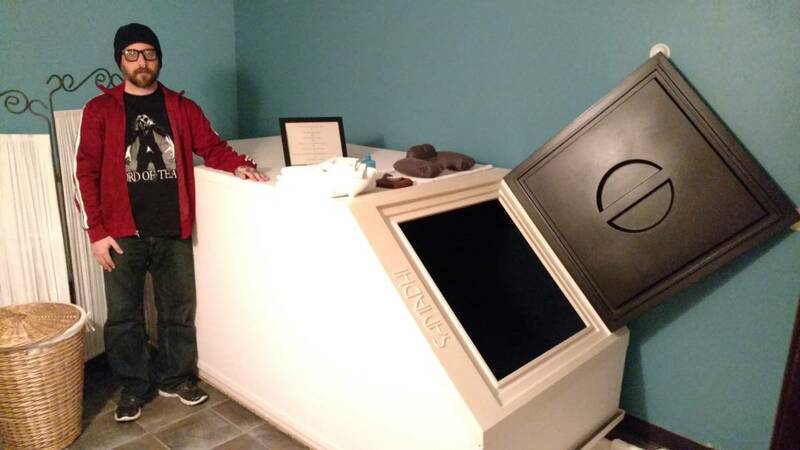 I can definitely understand the draw of these sensory deprivation sessions and would recommend the experience to anyone looking for a way to achieve a deeper level of relaxation. 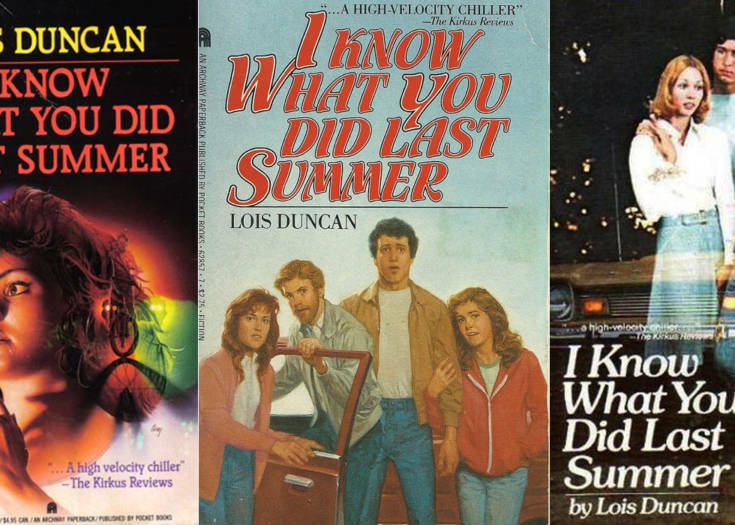 As a writer, I found myself infused with creative energy and a desire to produce art. While individual experiences are sure to vary, my trip was both intense and exquisite. If you have the opportunity, give sensory deprivation and floating a try. See you on the other side!